According to the report ‘IT Security: cost-center or strategic investment?’, the most costly cybersecurity breaches for businesses of all sizes result from the failures of third parties, which means that companies should not only invest in their own protection, but also pay attention to that of their business partners. This year’s study reveals promising developments in the importance being placed on IT security. Businesses globally are starting to view it as a strategic investment and the share of IT budgets that is being spent on IT security is growing, reaching almost a quarter (23%) of IT budgets in large corporations. This pattern is consistent across businesses of all sizes, including very small businesses where resources are usually in short supply. However, while security appears to be receiving a larger proportion of the IT budget pie, the pie itself is getting smaller. For example, the average IT security budget for enterprises in absolute terms dropped from $25.5M last year to $13.7M in 2017. Nonetheless, raising IT security budgets is only part of the solution, as the most staggering losses stem from the incidents involving third parties and their cyber-failures. 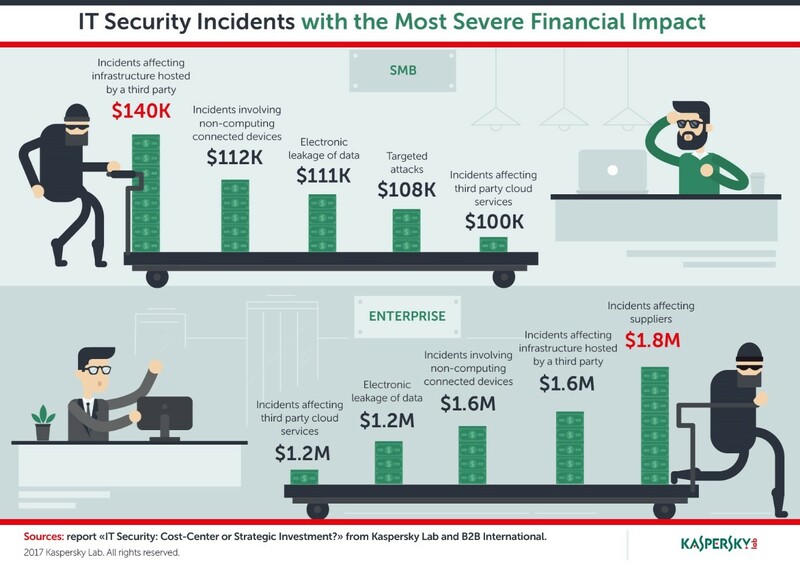 SMBs had to pay up to $140K for incidents affecting infrastructure hosted by a third party, while enterprises lost nearly two million dollars ($1.8M) as a result of breaches affecting suppliers that they share data with, and $1.6M because of IaaS-providers’ insufficient levels of protection. 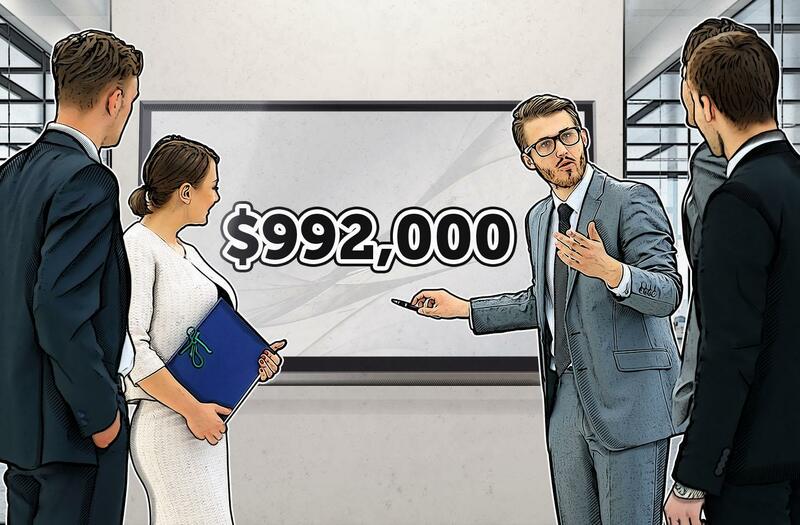 To help businesses with their IT security strategies, based on the industry threat landscape and specific recommendations, Kaspersky Lab introduces the Kaspersky IT Security Calculator. This business tool is an ultimate guide to the cost of IT security based on the average budgets being spent (by region, industry and company size), security measures, the major threat vectors, money losses and tips on how to avoid a compromise. The Kaspersky IT Security Calculator and the full report ‘IT Security: cost-center or strategic investment?’ can be found at this webpage. Kaspersky Lab offers solutions that cover the various needs of SMB and enterprise companies related to endpoint protection, DDoS protection, cloud security, advanced threat defense and cybersecurity services.